Nimes will be looking to build on a 2-0 win over Caen when they square off against Rennes in a postponed fixture at their Stade des Costieres. The two teams are almost level on points in the Ligue 1 standings and they are still in the race for a place in European competitions. 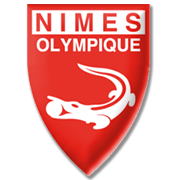 Nimes have been playing above expectations in the 2018/2019 season, but they need to keep on producing splendid displays in the season finale if they are to represent France in European competitions next season. Les Rouges et Noirs, on the other hand, failed to win previous three league fixtures and seeing that the Crocodiles are a real force to be reckoned with at home, we predict that the visitors are going to return home empty-handed. In the first half of the season Rennes crushed Nimes 4-0, meaning that the hosts are hungry for revenge. Born in Montpellier on December 22, 1991, Teji Savanier is a French footballer who plays for Nimes in the Ligue 1 as a midfielder. Savanier began his senior career at Arles-Avignon and it has to be noted that he played for the club from 2011 to 2015. Ahead of the start of the 2015/2016 Ligue 2 campaign, Teji Savanier joined Nimes and he has been playing for the club ever since. The 171-cm tall midfielder has established himself as a first-team regular at Nimes and he successfully plays for the club in the French top flight. Savanier’s main position is central midfield, but he is used as an attacking midfielder as well. His preferred foot is right. Despite producing fine performances for Nimes in all competitions, Teji Savanier has yet to receive a call-up for the French national football team. His contract with Nimes should expire on June 27, 2018.